Home > Blog > Welcome to our newest Wild Side member – Zola! Welcome to our newest Wild Side member – Zola! 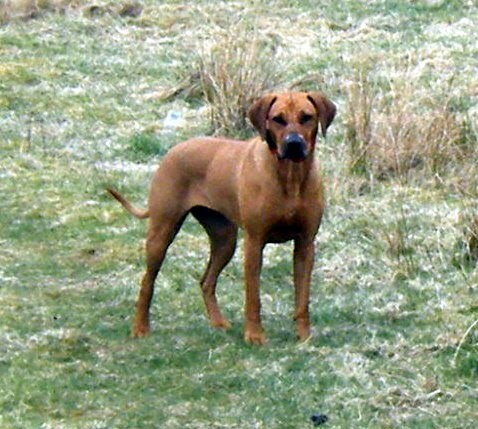 A great big “Welcome” today to the newest member of our pack – Zola the Rhodesian Ridgeback. She was a little unsure about getting into the van, but once up in the familiar territory of Mugdock, she loved her walk. She travelled really well in the van, and got on fine with the other dogs – Holly and Boris (the Vizslak), Laddie and Meg (the Labs) and the most beautiful & friendly Cocker Spaniel ever – Murphy. A nice walk across Drumclog Moor, and then back through the forest, with the only the slightest bit of drizzle…summer is just around the corner!